An essential Church resource, these Bans of Marriage are neat, well printed, and valuable to Church functioning. 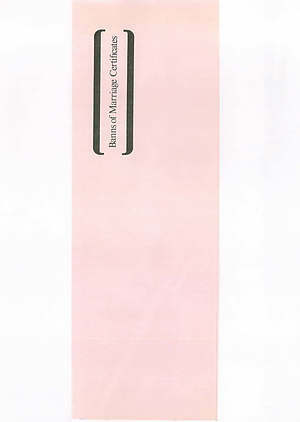 Book containing forty eight certificates with counterfoils, size 105x300mm. Banns of Marriage Certificate Book Mb6 was published by The Society for Promoting Chri in January 1986 and is our 491st best seller. The ISBN for Banns of Marriage Certificate Book Mb6 is 9780281023943. Be the first to review Banns of Marriage Certificate Book Mb6! Got a question? No problem! 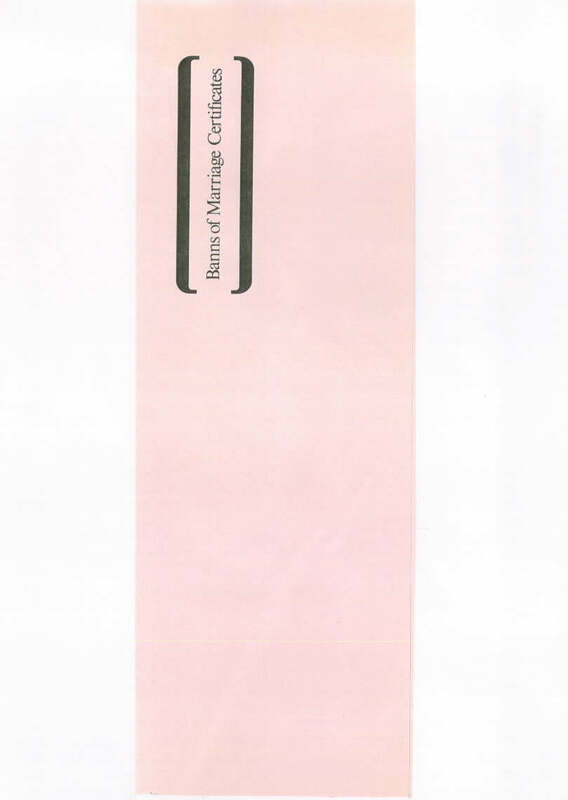 Just click here to ask us about Banns of Marriage Certificate Book Mb6. Do they have serial numbers and marks etc? A:No, this product doesn't feature any serial numbers or watermarks.